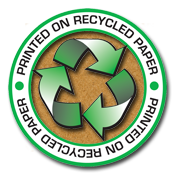 40% pre- & post-consumer recycled paper cards printed with low-VOC soy-base inks & solvents through our specialized green printing process. To order this product, please select "Recycled 100lb Dull Cover with Matte Finish" as your paper option when prompted. 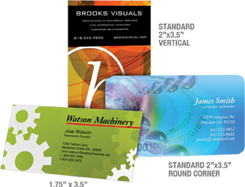 Pricing varies based on order method, backside printing, rounded corners, proofing options, etc. 3 Additional Business Days for Rounded Corners.